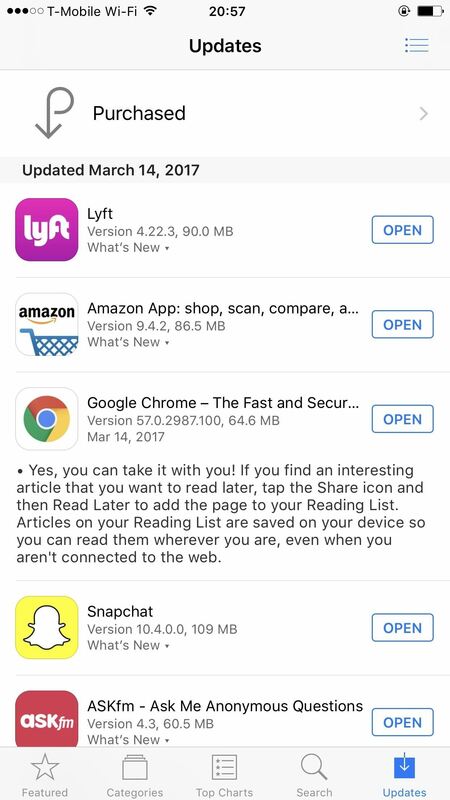 Google just pushed out an update to Chrome for iOS, with the main change being a new feature called "Read Later". Read Later is a nifty little feature that allows you to download and save web pages that you can read even if you're offline. Being a subway rider in NYC, I know very well how annoying the lack of an internet connection can be when traveling, which makes this feature all the more handy. Safari on iOS has had a "Reading List" feature that's been around since iOS 6 was released in 2012, and it's practically the same thing. 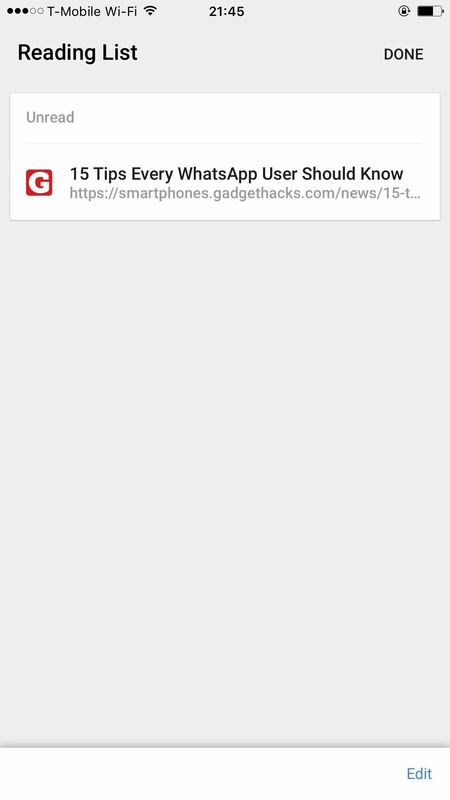 So it's about time Google caught up to Apple and added offline reading on their extremely popular browser for iOS. 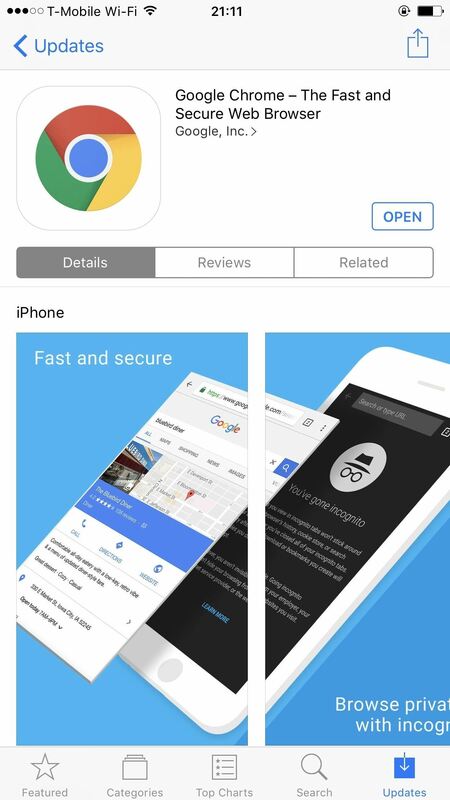 First things first, head over to the App Store and make sure that you have the latest version of Google Chrome for iOS. If you see an update for Google Chrome, go ahead and take it, since you won't be able to use Read Later without being on the newest version. 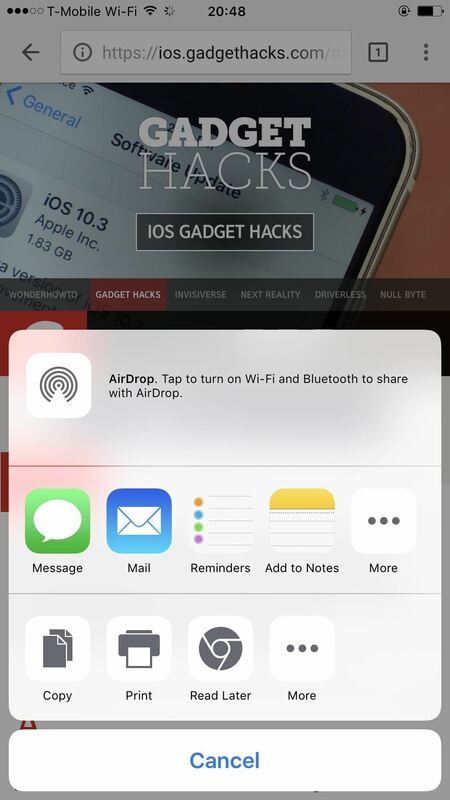 Next, open a web page that you want to save for later, then simply hit the share button in the three-dot menu and tap on the Read Later icon. 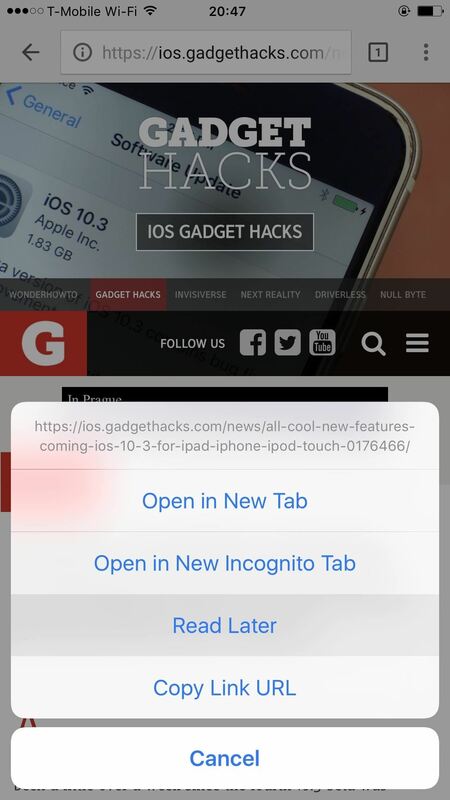 You can also tap and hold a link, and then tap on the option that says "Read Later." 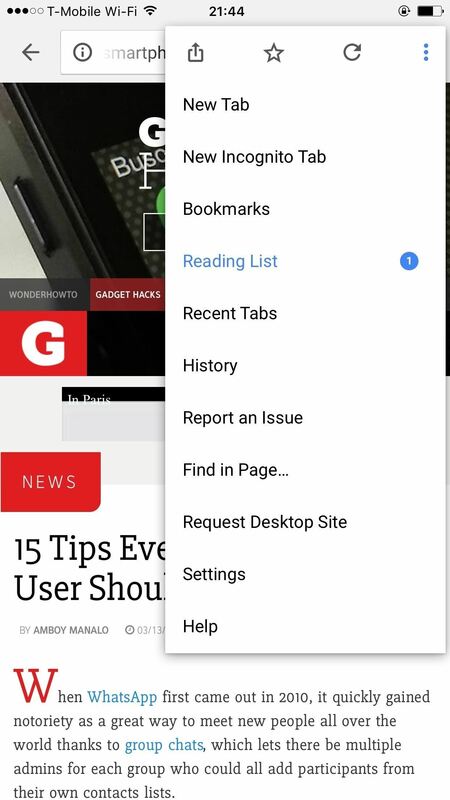 Now, when you want to read this page offline, tap Chrome's three-dot menu button, then choose "Reading List" and select the page. It doesn't get any easier than that, and the best part is that you can also share the saved web page as well. If there's a change in the web page, no worries, you have the original saved and ready to go.